A sneeze is quite a powerful event. In fact, a sneeze may produce exit velocities in excess of 650 miles per hour (mph) (290 meters/second). (Even the lower estimates of sneeze velocity, in excess of 95 mph (42 meters/second) are quite high.) To put this in perspective, the current Enhanced Fujita Scale defines EF3 tornadoes as having wind speeds between 136 and 165 mph, and EF5 tornadoes (the maximum intensity) as >200 mph. Category 5 hurricanes have winds greater than 155 mph. Thus, a typical sneeze produces wind velocities equal to or in excess of the winds produced in a major storm (tornado or hurricane). The lungs may be exploded; this generally leads to difficulty breathing, which can result in death. The diaphragm (the muscle that compresses the lungs like an air pump to allow breathing) can have the lungs forced through it, which leads to difficulty breathing, which can result in death. The diaphragm may become "vapor locked" - this is similar to a hydraulic lock situation, in which the forces (or fluids) on either side of a membrane (in this case the diaphragm) are in equilibrium without room for expansion, locking the membrane into a fixed, immobile position; in the event that the diaphragm becomes locked in place, this leads to difficulty breathing, which can result in death. In rare cases, the head may explode, either internally or (more rarely) externally, which nearly always results in death. In all these cases, difficulty breathing can (and often will, unless immediate medical attention is received) result in death (very few humans are able to live without breathing; in fact, we are currently aware of only one, but we think he was actually cheating and breathing without anyone's knowledge). This is why you should never hold in a sneeze! 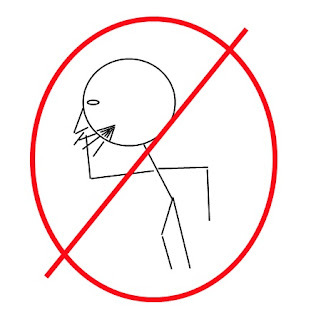 In fact, recent archaeological discoveries have determined that "sneeze inhibition" has caused the death of at least one species of humanoid in earth's history. Many readers will be familiar with Neanderthal Man. This was a humanoid species (Homo neanderthalensis or Homo sapiens neanderthalensis) that lived between 130,000 and 30,000 years ago. While their disappearance has typically been explained by extinction, cross-breeding with modern Homo sapiens, or that they actually never were a different species from modern Homo sapiens and simply transformed into modern human form, new discoveries have identified "sneeze inhibition" (holding in their sneezes) as the actual cause for demise of the species. A recent discovery of frozen Neanderthal remains in a remote region of Siberia includes a significant number of near-complete individuals, who, through the sub-freezing temperatures, were found encased in a layer of ice, preserving their soft tissues. Autopsy has revealed that these Neanderthals suffered from a range of the previously mentioned maladies that may occur as a result of sneeze internalization, primarily the "exploded lung" issues (although the two diaphragm issues did occur in lower percentages: about 75% of those found had exploded lungs consistent with "internalized sneeze injuries," 15% had vapor-locked diaphragm issues, 8% had lungs that had punctured the diaphragm, 1.3% had internal head explosions, 0.3% had external head explosions, and 0.4% had other injuries, some of which could be explained by internalizing a sneeze, while others indicate externally applied injuries, such as being hit in the head with a large club). Nearby caves had early cave drawings consistent with Neanderthal stories, but with some interesting images never before observed (see example image to the right). These images have been interpreted by leading scholars to indicate that the Neanderthal community had achieved a higher social system than previously believed, and that the "sneeze" was considered a vulgar expression. Apparently the potential to spread disease was recognized early in this society. 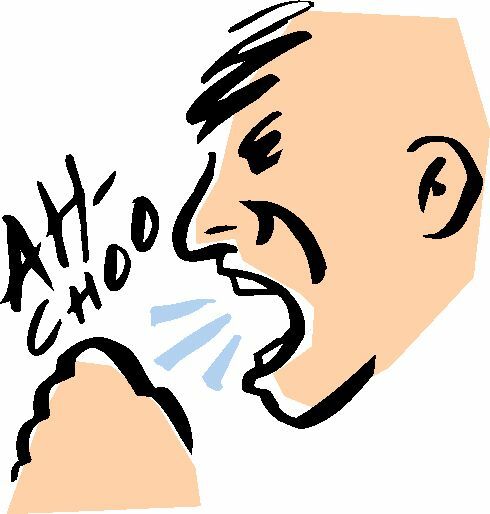 Additionally, the larger size of the nose of Neanderthal man must have made the sneezes much more violent than modern man. Together, this must have led the Neanderthals to the desire to avoid expelling their sneezes at all cost; unfortunately, the "at all cost" eventually cost them their race, as the entire species was wiped (so to speak) from the face of the earth, with the exception of a small remnant that has recently been featured in Geico insurance commercials (unfortunately mis-labeled "cave men" instead of "Neanderthals" or "Homo neanderthalensis"). In short, you should take a lesson from our long-lost brethren: don't hold in your sneeze! It's not worth the potential damage that the tornadic-force winds can wreak on your body. We can see here the reason why Muslims say "al hamdulillah" to thank and praise God on surviving a sneeze. Your title is correct... the reasoning used _after_ the title is wrong. Talking about the velocity of sneezes in relation to Hurricanes (or anything really) is... silly. It is Power, or more correctly perhaps Energy, with which we are concerned. Actually larger noses would reduce the velocity and also allow greater evacuation. The Power would be spread through a greater cross-sectional area. I'm wondering on these exhumed cavemen... How large was the sample? Ritual burial or just found where they dropped over. In the latter case, would 75% at one spot more likely argue for some external force acting upon them collectively, rather than them all sneezing and dying at the same time? Guess this supposed to be a rather joking post... but still... there's a terrible lack of basic scientific (physics) knowledge and statistical inference in this country. It means that it breaks the sound barrier. And it doesn't happen like that. you don't hear the sneeze itself, you hear the persons reaction to it.